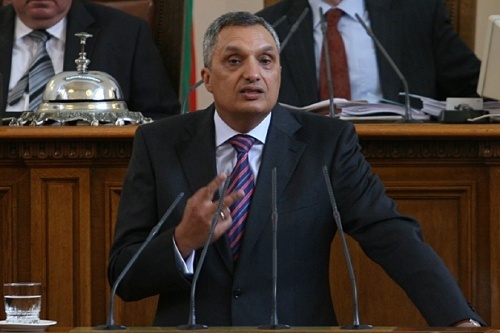 The leader of the rightist Democrats for Strong Bulgaria, Ivan Kostov, says the assimilation policy of the totalitarian regime towards the Muslim population must be sent to the Prosecutor. The Bulgarian Parliamentary Committee on Human Rights and Religious Freedom approved Thursday a declaration, condemning the Communist regime’s attempt to forcefully assimilate the country’s ethnic Turkish population. The document proposes to the Members of the Parliament to state they firmly condemn the assimilation policy of the totalitarian regime towards the Muslim population, including the so-called Revival Process. “We declare the driving away of 360 000 Bulgarian citizens from Turkish origin in 1989 a form of ethnic cleansing done by the totalitarian regime,” the declaration reads. The committee is further asking the Bulgarian judiciary ad the Chief Prosecutor to renew the case against the perpetrators of the heinous act, stating the attempts to claim prescription put the blame on all Bulgarians. “We owe this to the Bulgarian Turks – those who left and those who stayed,” the leader of the rightist Democrats for Strong Bulgaria, Ivan Kostov, said, adding if the Bulgarian Socialist Party’s (BSP) apologies were sincere and not just pulling wool over the eyes of Europe, they must vote for it. The ethnic Turkish Movement for Rights and Freedoms (DPS) party declared during the discussions that the Revival Process is the most serious crime of the Communist regime, but BSP pointed out work needs to be directed to most actual issues. Speaking at a ceremony in Lefkosa late week marking the 26th anniversary of the Turkish Republic of Northern Cyprus (TRNC), Deputy Prime Minister Cemil Cicek said that if some people are thinking that it’s ‘either Cyprus or the EU,’ Turkey’s choice will forever be the Turkish Cypriots, and everyone should understand this. What caused Cicek to say this? Must Turkey make such a choice? What did he mean by ‘some people’ and ‘everyone’? It seems his messages were meant for three different audiences. The first is the European Union. Actually one can’t say now that the EU has to make a choice between Cyprus and Turkey. But the Greek Cypriot administration is always trying to take advantage of its EU membership. In this respect, the next month will be critical. Ankara will again be asked to fulfill its pledge to open Turkish harbors and airports to the Greek Cypriots. Turkey has already declared that it wouldn’t comply. So what will the EU do then? Will it break off or suspend our membership talks? All signs say this won’t happen. But Cicek’s statement in Lefkosa was actually a warning. In other words, it signaled how Ankara will act if the EU makes the wrong move. He was also speaking to the Turkish Cypriots. Things are different now, but we shouldn’t forget that five years ago some 65% of Turkish Cypriots voted yes for then UN Secretary-General Kofi Annan’s reunification plan. 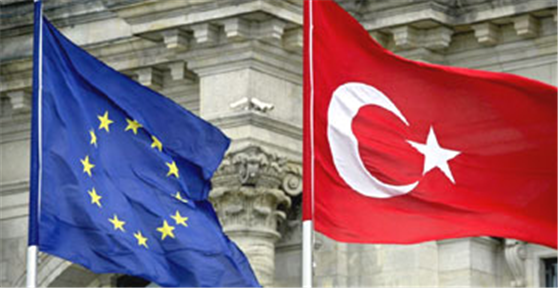 The main factor in this stance of the Turkish side was the EU motivation. In other words, they hoped the entire island would join the EU and so Turks would also benefit from EU membership. 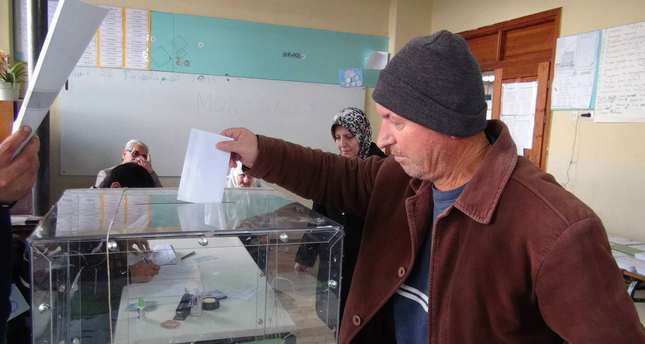 This hope fell through, as the Greek Cypriot side rejected the plan by 76%. But certain Turkish Cypriots still want to join the EU somehow through a resolution. TRNC President Mehmet Ali Talat’s efforts are aimed at this. But any solution of course aims at an agreement under set parameters. As Cicek said, his statements are directed at those trying to make Cyprus an obstacle to Turkey’s EU bid. But he also showed Turkey’s directing and even determining stance and the priority of its own national interests. Furthermore, he showed that if it has to make a choice, Turkey can give up the EU without any hesitation. Finally, he was also speaking to the Greek Cypriot administration. As I said above, the Greek side is trying to use the EU as a tool in Turkey’s membership talks with the EU, and with this self-confidence is being uncompromising in Cyprus talks. Cicek effectively said that if you’re trying to use Turkey’s EU bid to corner us, you should know that Turkey can give up the EU, but will never forsake the TRNC. I hope Turkey won’t be forced to make a choice. The right thing and the best thing for everybody is both Cyprus and the EU. In other words, a solution to the Cyprus issue and the full EU membership… I think this is still the goal of Turkish diplomacy. Turkish foreign minister has called the European Union to focus on added-value that Turkey’s EU accession would bring instead of questioning the country’s European identity. “Fifty years after the establishment of relations between Turkey and the EU, it’s amazing that there are still those who question the European identity of our country. … Now, given the magnitude of the challenges and opportunities before us, we must abandon those grueling debates and focus on the added value that Turkey’s entry would involve,” Ahmet Davutoglu said in an article published Monday in Spanish daily El Pais. Davutoglu said Turkey and Spain shared the idea that the Mediterranean should once again be a source of inspiration for peace and stability, adding that the idea had led the two countries to sponsor, the Alliance of Civilizations. “With the Alliance of Civilizations, our countries have shown that, while preserving the uniqueness of our identities, we enrich each other through the recognition of others,” Davutoglu said. The Turkish foreign minister said the world faced multiple challenges such as the financial crisis, energy security, illegal migration, epidemics, climate change, organized crime, extremism and terrorism. “If the aim is to eradicate all forms of intolerance and discrimination which is based on religious grounds or otherwise, to promote a democratic and equitable international order, to achieve steady economic development and to do so in a sustainable way, entry of Turkey into the EU as a full member can make an important difference,” Davutoglu said. “The main objective of our foreign policy has always been the maintenance of peace, stability and prosperity everywhere. The growing Turkish economic dynamism, coupled with demographic qualities, gives the EU a strategic choice when addressing economic imbalances and future challenges of population. 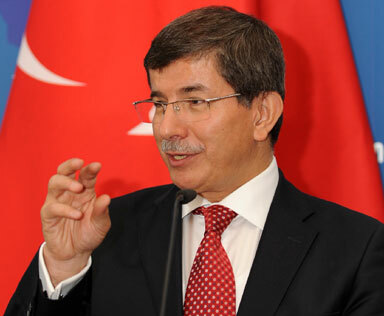 When we are in a position to enter the EU as a full member we will assume responsibility for our part,” Davutoglu wrote. Also Turkish Foreign Ministry Spokesman Burak Ozugergin denied allegations that Turkey reached consensus or an agreement with France to form a partnership alternative to EU membership. Ozugergin told reporters that Turkey’s accession process to the EU was an integral part of Turkey’s relations with France, replying to news suggesting that bilateral relations with this country was independent from the EU membership. “Therefore such an agreement with France as mentioned in recent news has always been and will be out of the question,” said Ozugergin,.